The way that you store and care for your hair extensions will greatly impact the longevity of the hair. The better you treat your extensions, the longer you’ll be able to wear them. So, how do you store hair extensions? 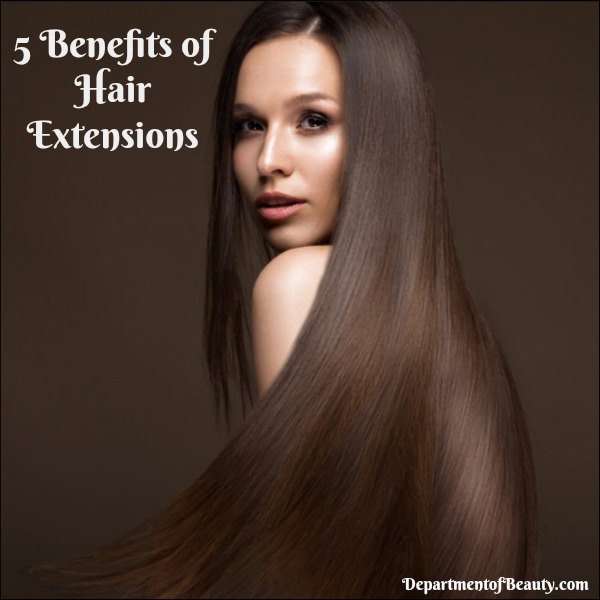 There are actually a few different ways that you can store your extensions to ensure that they are properly taken care of will last you as long as possible. You don’t want to pay quite a bit of money for your clip-in hair extensions or tape hair extensions and then not get to use them as much as possible. 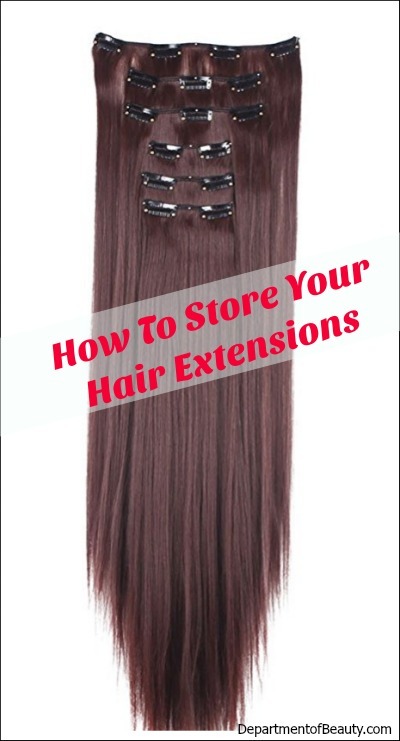 Pick from one of the hair extension storage ideas below as well as follow my tips for storing your extensions to get the most wear out of them. If you are wondering what the best way to store hair extensions is, it really depends on how much space you have available as well as how much money you may be willing to spend to keep your extensions looking brand new. Here are different ideas when it comes to hair extensions storage as each one may have certain pros and cons when it comes to your life. 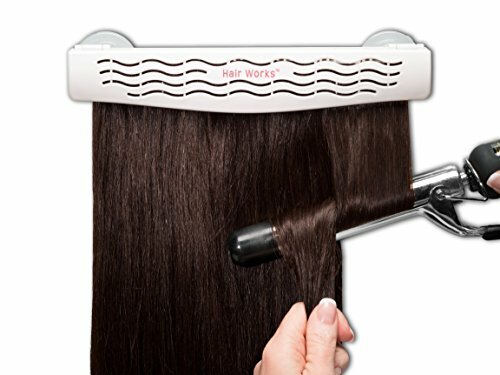 The cool thing about getting a hanger for your hair extensions is that with one like the 4-in-1 hair caddy hanger you see here, you can also use it to style and wash your extensions as well. With this hanger you simply secure the hair into the clip area and then you have a stable base for you to do just about anything to your extensions including shampoo them, straighten them, curl them, and simply just store them. Why I recommend this type of hanger is because it really does everything you need and can be used for all the different types of extensions including clip-ins, tape, and halo, Instead of getting a separate hanger to store your extensions just simply use one to do it all. You can attach the hair caddy right onto a regular clothes hanger and hang wherever or you can use the included velvet bag to store your extensions as well. There is even a suction cup back so you can attach it to a wall in your room or bathroom to help you style the hair before placing on your head. What could be easier than this hair caddy hanger that does it all? Another option for how to store hair extensions is a bag made specifically for hair extensions. Most of these bags also come with some sort of hanger to allow you to hang the bag up to help the hair have less tangles and creases when storing. 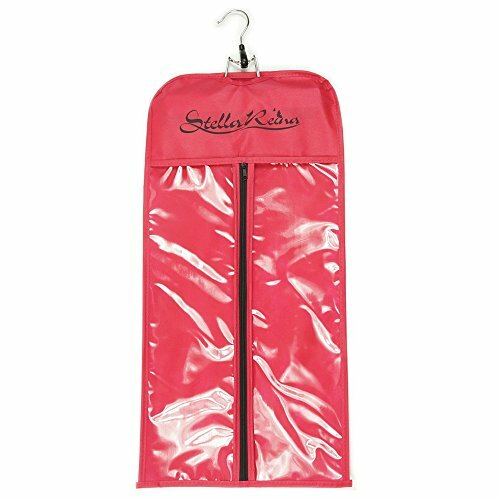 The Stella Reina hair extension carrier bag is a great option for not only storing your hair in a nice, dry environment but is also great for transporting the extensions as well. This would come in handy if you are taking them to a salon to get them professionally done or if you plan on packing them for a vacation away. The bag does come with a wooden hanger that has anti-slip stickers to hold the hair in place but you can always use something like the hair caddy above with this bag instead of the provided hanger as well. The bag is dust and moisture proof and long enough to keep most hair extensions from being curled up. It just gives you that extra added protection to keep your hair extensions safe not only when you travel but also simply just stored in your home. If you are short on money can can’t really afford to buy a hanger or bag for your hair extensions right now, you can still store your extensions safely, but you may not get the best results in the long run. You can use an old clean shoe box or an empty large drawer that you have open in your bedroom. Do not store the hair extensions in a bathroom because the humidity will damage the hair. Use a towel of clean cloth on the bottom of the box or drawer before you place the extensions in there. Try to lay the hair as flat as possible, with as little curves as possible. Try not to crease the hair when storing it in the box. Although a box could work and it may be fine for cheaper hair extensions that you may not care about as much, you will not get the as good as results from storing your hair in a box as if you were able to hang it up in a bag or with the caddy and the bag. Here are some inexpensive hair extension storage bags that you may want to look at as an alternative to using a box. These don’t cost that much but can really make a difference. Before you start storing your hair extensions on a hanger or in a bag, there are some things that you should know to get the most out of your hair. Proper prepping of the extensions for storage or for travel can really enhance the longevity of the extensions and make a complete difference in appearance. Never ever store your hair extensions while they are still wet. Instead, it’s a good idea to simply hang them up or lay them flat to dry naturally. If you store your extensions while they are wet or even just damp you can encourage the growth of mold and mildew on the hair, which is never a good thing. You also want to make sure that your hair extensions are clean from any products as some of the products can discolor the hair or damage it if it sits on there for awhile. Check out my suggestions on taking care of synthetic hair extensions if you have any questions. Be sure that you comb or brush out your hair extensions once they are washed and dry. You don’t want to store them with any tangles in them as they are going to be much harder to get out after being stored for quite some time. Get the extensions as smooth as possible without damaging or pulling out the hair. Store your hair extensions in a dark, dry place if possible. You don’t want to store them in direct sunlight as this can fade the hair. You also don’t want to store them in area that has moisture becuase you will find mildew or mold growing on them next time you go to use them. In a closet in your bedroom or hallway as well as in a dresser would be a good place to store your extensions until the next time you are ready to use them. When it comes storing hair extensions it doesn’t have to be really that hard but you do have to take some time to do it properly to help ensure that your hair is just as beautiful the next time you take them out as when you put them in storage.